This 'POLICE' style reflective tape is high quality Reflexite reflective tape NOT a cheap import from China - the product has Reflexite branding clearly stamped on the rear. 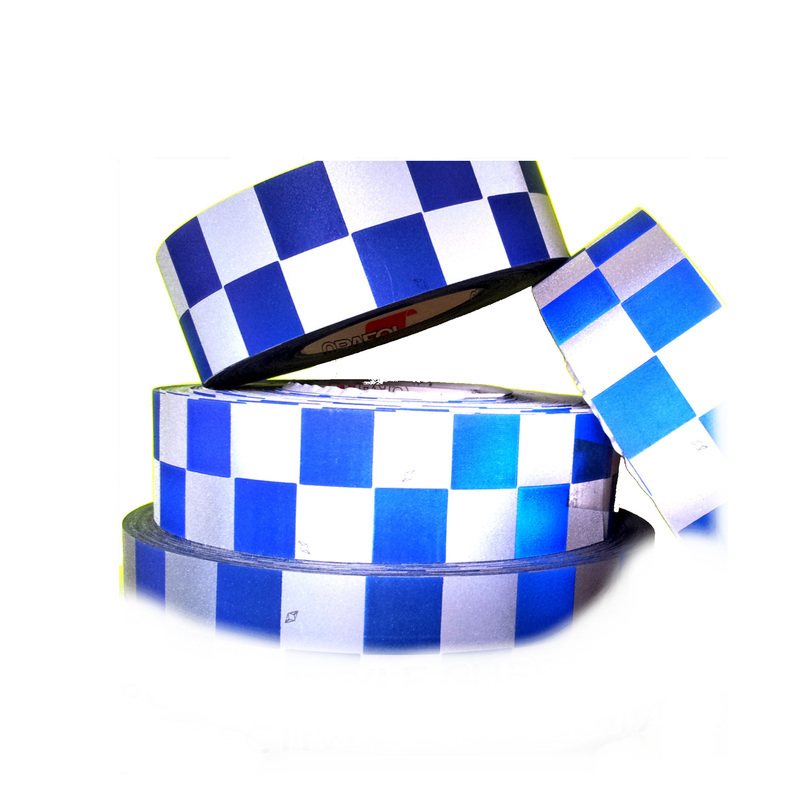 Very useable, very durable, very effective, very high quality. 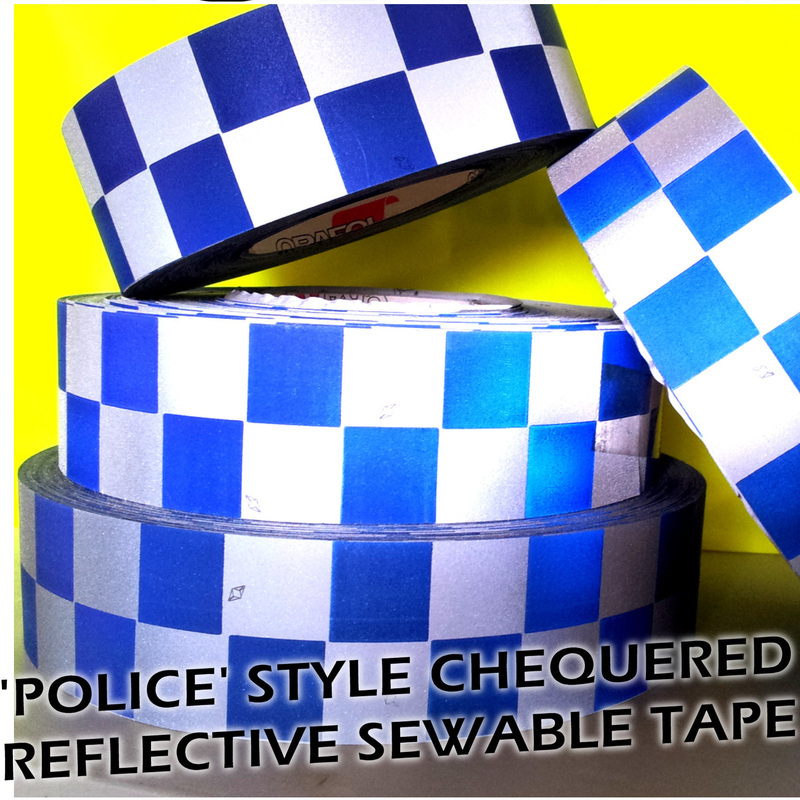 The tape has a high specification reflectivity. The fabric is a cotton / polyester blend so is ideal for sewing to garments to greatly improve visibility to motorists using headlights from up to 300m away. Also suitable for costume, stage productions etc. We can supply anything from 1m to 1000 metres. If you are outside the UK you add the Non UK shipping premium. Please note that orders received for our Reflective Fabric Material from outside the UK without a Non UK shipping premium will not be dispatched. Take a look at our new MovoBright 360 Degrees lightweight Reflective Safety Device. It's trending with cyclists, runners, walkers, climbers, cavers and all any sport where people need to be seen! Hit the link below... or click here.